Although nothing can replace a stroll through our historic churchyard, we thought we would share with you some of the highlights of the tour. 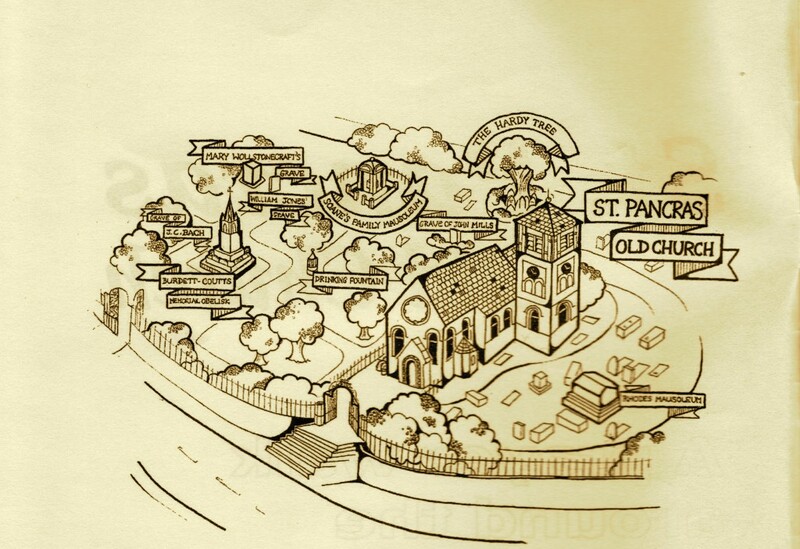 You can drop by St Pancras any weekday, and one of our friendly tour guides will be more than happy to show you around, answer your questions, and help you understand more about the vibrant past of St Pancras Old Church! 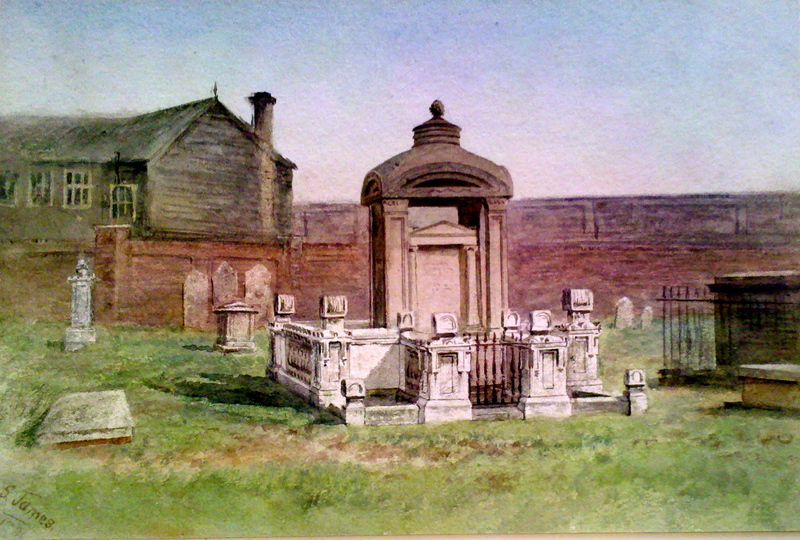 The Churchyard ceased to be used as a graveyard in 1854 by which time it had accommodated centuries of burials. In the 300 years from 1600 perhaps 1.5% of all London’s 6million burials may have been accounted for at St Pancras. Records indicate that between 1689 and 1854 88,000 burials took place, over 32,000 in the final 23 years. 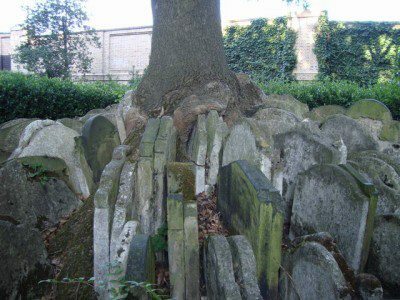 This graphic fusing of the living tree and gravestones fascinates artists and writers to this day (The Hardy Tree by Iphgenia Baal, 2011). One of only two Grade I listed tombs in the entire country, the Soane monument is an architectural treasure. Sir John Soane was one of London’s most famous architects, most widely known as the architect of the Bank of England building. Work was begun on the monument in 1815 and Soane was interred there in an elaborate ceremony upon his death in 1837. Vistors comment on the similarity that the design of the monument has to England’s famous telephone boxes, although it precedes their invention by 100 years. The telephone box was designed by Sir Giles Gilbert in 1920, the grandson of George Gilbert Scott, who built the St Pancras Hotel. As a trustee of the Sir John Soane Museum, it is very likely that Gilbert was inspired by this monument – not the other way around! A piece of the Soane monument went missing recently, and was found – in all places – on eBay! Although her remains were moved to Bournemouth with the disruption of the railway, a memorial to the famous author of the Vindication of the Rights of Woman still stands in the St. Pancras churchyard. It was her daughter, Mary Shelley the author of Frankenstein, who had her remains moved in the 19th century. Because of the controversy surrounding Wollenstonecraft’s writings and beliefs, her body spent 24 hours outside the church in Bournemouth before the Vicar agreed to reinter the remains. 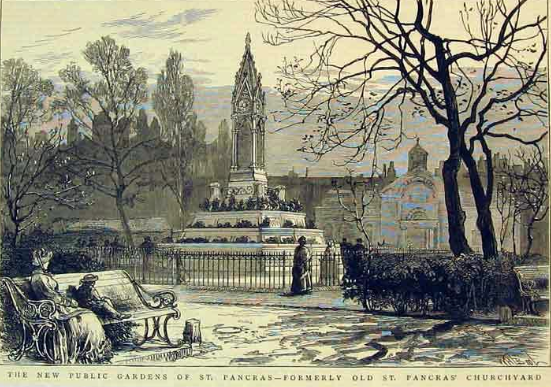 Dickens was raised in the St Pancras area, living in different homes surrounding St. Pancras. 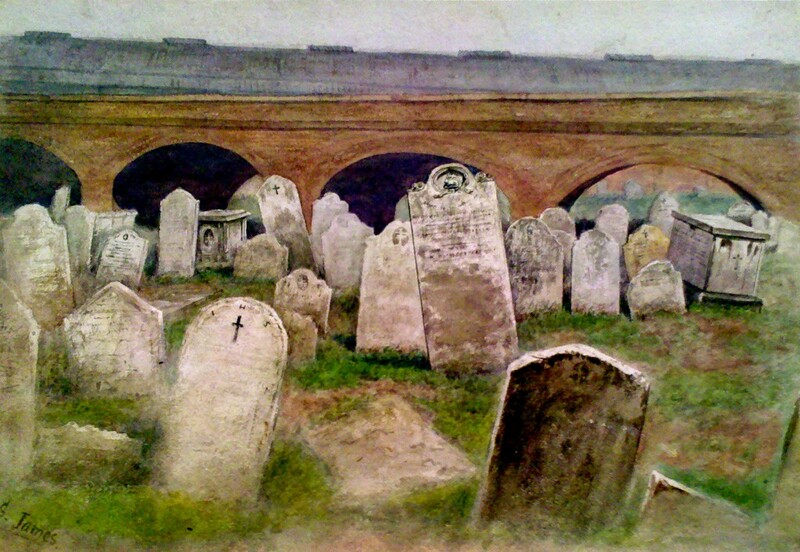 Given his love for walking London, it was probably while strolling through the St. Pancras churchyard that he received the inspiration for A Tale of Two Cities wherein Jerry Cruncher and his son go ‘fishing’ (body snatching) in a graveyard, and the character of Roger Cly is described as being buried in the St Pancras churchyard itself. The Micawber’s in David Copperfield and the Cratchits in A Christmas Carol also lived in Camden Town. The grave of Mr. William Jones also provides an interesting connection to Charles Dickens. He was Dickens’ schoolmaster at Wellington House Academy, and provided the inspiration for the fierce headmaster of Salem House in David Copperfield. 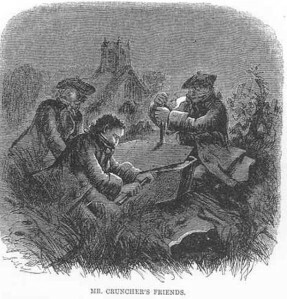 Although the plaque on the gravestone pays tribute to “The inflexible integrity of his character and the social and domestic virtues which adorned his private life”, Dickens remembers him differently: “by far the most ignorant man I have ever had the pleasure to know …one of the worse-tempered men perhaps that ever lived…”. A close friend and campaigner for a time with Dickens, Baroness Burdett Coutts was responsible for the ornate gothic sundial unveiled in 1879, a monument to French émigrés at the time of the Revolution. Their names along with a wealth of professions are recorded on each side. Along the northern side of the Burdett Coutts memorial is a plaque to ‘The English Bach’. Johann Christian Bach was music master to Queen Charlotte, wife of George III. Born in Leipzig 1735 he was the youngest son of Johann Sebastian Bach. 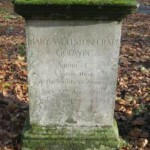 He died on Tuesday 1st January 1782. With Carl Friedrich Abel (1723 – 1787), also buried in the churchyard, foreign musicians were introduced into London in Bach-Abel Concerts. 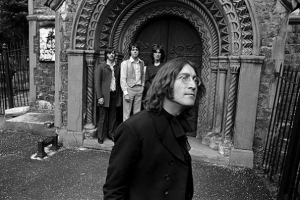 The Beatles visited St Pancras on one of their last publicity shoots on 28th July 1968. A number of pictures were taken around the churchyard, and a plaque has been mounted on the bench by the Bach plaque where the four of them sat. nst to them, the Beatles had crept into the crowd, joining them in awaiting the famous visitors! We invite you to come visit us at St Pancras, and to experience our history first-hand. Tours are free and include all of the above and much more! Contact our parish office at 020 7424 0724 for more details.